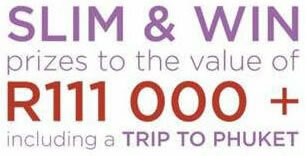 Slim and win prizes to the value of more than R111 000, including a trip to Phuket, a make-over and thousands of rands worth of Annique products! Annique‘s fabulous slimming competition is back! Use this opportunity to shape up, slim down and stand a chance of winning prizes. Annique‘s holistic approach to health and beauty offers you the chance of a lifetime to get your body beautiful and regain your health and vitality. Forget about dieting! 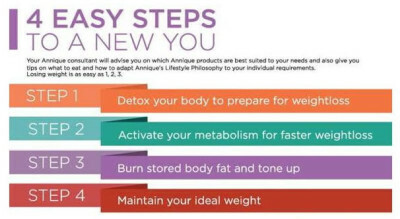 Annique‘s lifestyle philosophy offers you a healthy way to loose weight and keep it off! Follow our back-to-basics [R]evolutionary approach to eating, with the added support of our tried-and-trusted, highly-effective Lifestyle Shake, Rooibos Herbal Teas and Forever Slim and Forever Healthy ranges of supplements, for optimum nutrition and weight loss support. The competition starts 1 July 2014 and closes on 30 September 2014. Contact Annique Day Spa to send you your entry form and explain all the instructions step by step to you. An entry fee of R150 is payable and you will receive a welcome pack and our weekly support and recommendation. All participants will be measured, weighed and ‘before’ photos taken from 1 July 2014 and onwards. You may also enter after 1 July 2014 but the competition ends 30 September 2014. You will then meet regularly to monitor your progress until 30 September, when you will take the after photos and complete the entry form. 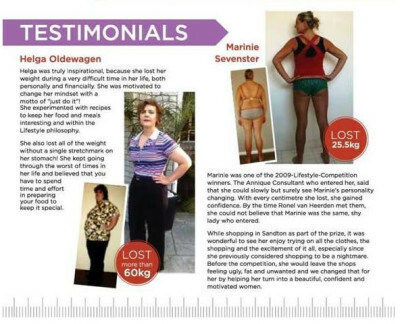 Participants have to purchase Annique slimming products on a monthly basis. 1. The ENRTY FORM must be completed, signed and have an original ‘before and after’ photo attached. 2. Every participant has to purchase Annique Lifestyle products on a monthly basis from a registered Annique consultant and/or attend weekly weigh and measure sessions with his/her Annique consultant and complete the PROGRESS FORM. 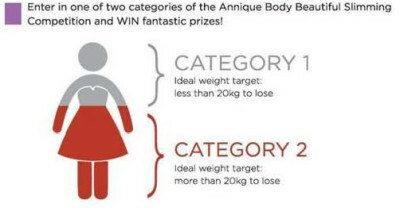 Participants may only use Annique products in order to lose weight and no other slimming products will be allowed. 3. The judges desicion is final and no correspondence will be entered into. Only complete, accurate and signed entry forms will be taken into consideration. Annique Day Spa will advise you on which Annique products are best suited to your needs and also give you tips on what to eat and how to adapt Annique‘s Lifestyle Philosophy to your individual requirements. Losing weight is as easy as 1,2,3!